University College London (UCL) and the Royal Free London Hospital have announced a new ovarian tissue bank to preserve the fertility of girls and women about to undergo treatment for cancer. 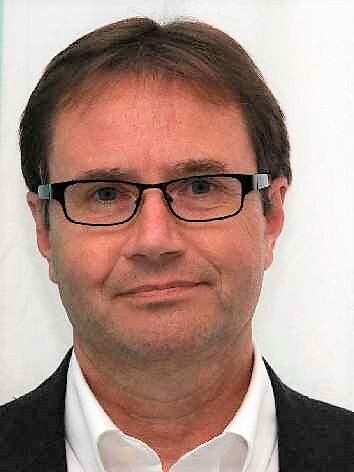 The publically funded initiative will be led by UCL academic Dr. Paul Hardiman (UCL Institute of Women's Health) and consultant in obstetrics and gynaecology at the Royal Free Hospital in London, with consultation by Society for Cryobiology Fellow, Prof. Barry Fuller, head of research for the UCL Division of Surgery, and Prof. Mark Lowdell, UCL director of Cellular Therapeutics. Worldwide there have been approximately 100 live births following ovarian tissue preservation and subsequent reimplantation on the remaining ovary or into the lining of the abdominal cavity. *Society for Cryobiology student member, Natalie Getreu, presented her PhD research for the Ovarian Tissue Bank at CRYO2017 and CRYO2016. The Board of Governors is pleased to announce the recent approval of two new Fellows of the Society for Cryobiology: Jason Acker and Janet Elliott. Janet and Jason will be presented with their Fellow medals during a special session at CRYO2019, held in San Diego, July 22-25, 2019. Dr. Jason Acker is a Senior Research Scientist with the Canadian Blood Services and a Professor in the Department of Laboratory Medicine and Pathology at the University of Alberta, Edmonton, Canada. He received his Bachelor of Science, Master of Science in Experimental Pathology and PhD in Medical Sciences degrees from the University of Alberta. In 2000, Dr. Acker completed a Canadian Institutes of Health Research Post-Doctoral Fellowship at the Massachusetts General Hospital and Harvard Medical School. Dr. Acker received a Master of Business Administration in Technology Commercialization program from the Alberta School of Business at the University of Alberta in 2009. Focusing his research on understanding the biological response of cells to freezing and freeze-drying has allowed Dr. Acker to develop a solid foundation from which he has contributed to the design of new methods for the long-term storage of a number of cell types and tissues. Dr. Acker’s research program over the past 15 years has continued to focus on expanding our understanding of the biological response of cells and tissues to freezing and freeze-drying. His work has specifically focused on the development of intracellular protectants as a novel class of molecules that can protect cells and tissues during freezing and drying. In addition to the seminal contributions to our understanding of cryoinjury that Dr. Acker has made, it has been the translation work that he is often most recognized for. In the area of transfusion medicine, Dr. Acker is a world leader in understanding the effects of blood component manufacturing and low-temperature storage on patient outcomes and has led many national and international efforts to improve the quality and safety of blood components. Dr. Acker’s blood services laboratory has responsibility for developing scientific and technical evidence to support innovative changes in blood product manufacturing, storage and utilization at CBS. Dr. Acker leads efforts to assess new technology, products and processes that can improve the efficiency, quality and safety of blood product manufacturing. Through his study of low temperatures, Dr. Acker has made, and will continue to make, significant contributions the practical aspects of cell and tissue banking. Dr. Elliott obtained her B.A.Sc. in Engineering Science (Engineering Physics Option) and her M.A.Sc. and Ph.D. in Mechanical Engineering at the University of Toronto. She has been a Visiting Professor at the Massachusetts Institute of Technology and at the Oxford Centre for Collaborative Applied Mathematics. Dr. Elliott currently serves as Associate Editor of the journal Cryobiology, on the Editorial Advisory Board of The Journal of Physical Chemistry, and on the American Chemical Society Division of Colloid & Surface Chemistry Executive Committee. She has served on scientific committees for international conferences in the areas of cryobiology, surfaces and colloids, and space physical sciences. 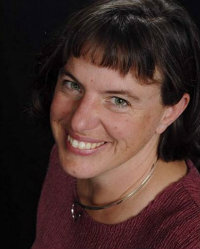 She has served on grant selection committees for all three of the Natural Sciences and Engineering Research Council (NSERC) of Canada, the Canadian Institutes of Health Research (CIHR) and the Canadian Space Agency (CSA). She has served as a member of the Physical Sciences Advisory Committee for the Canadian Space Agency and on the Board of Directors of the Canadian Society for Chemical Engineering. 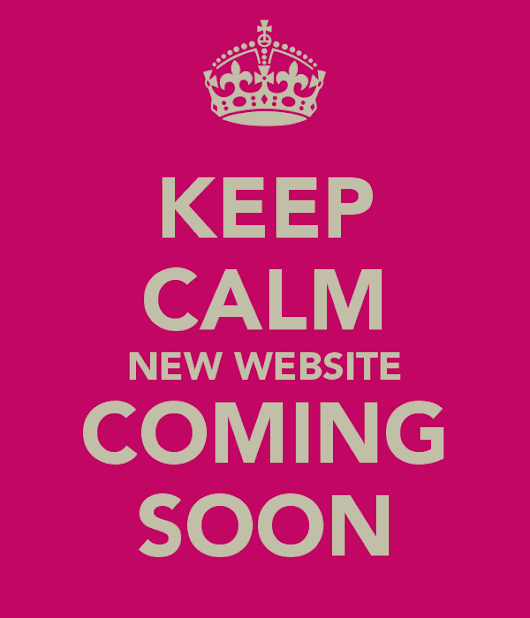 The Society for Cryobiology is pleased to announce the launch of their brand new website. Completely Updated Template - Mobile responsive template with a fresh, modern feel. Integrated Payment Gateway - Say goodbye to Paypal. You'll now stay on the Society's site while you check out using your credit or debit card. Automated Dues Invoicing - Dues renewal notices will be triggered automatically with each member receiving a customized invoice to pay online. Simply click the button in your email, and pay online with your credit card. Updated Membership Form - Apply or renew using the same form, with advanced field logic permissioning fields to appropriate applicants/users only. New Job Board - The Society has partnered with JobBoard.io who offer special pricing to Associations. Post your job on the Society's Job Board only, or push it out to the entire Zip Recruiter network. The choices is yours. Brand New Member Directory - Logged in members can search for members, or view the entire directory (members must opt in to the directory to be viewable). Updated and Revised Members' Area - Stay tuned as we add more members' only content over the coming year. New 'Resources' Menu Item - New pages include 'Position Statements', 'Scientific Partners', and a soon to be added Press Release page. Sponsor Widget - We can now recognize the sponsors of our Annual Meeting using a sponsor advertisement which will appear in the sidebar, or at the bottom of your screen. Donation Widget - A high visibility call to action asking site visitors to donate to the Society. Upgraded Events Calendar - Now dynamically displays event name, date and location in an automatically generated events calendar. At the Board of Governor's end of year quarterly meeting they voted to increase individual membership dues from $75, to $90 for the 2019 membership year. This is the first increase in membership dues since 2015. The price of the journal subscription remains unchanged at $185 for 6 issues over 12 months. 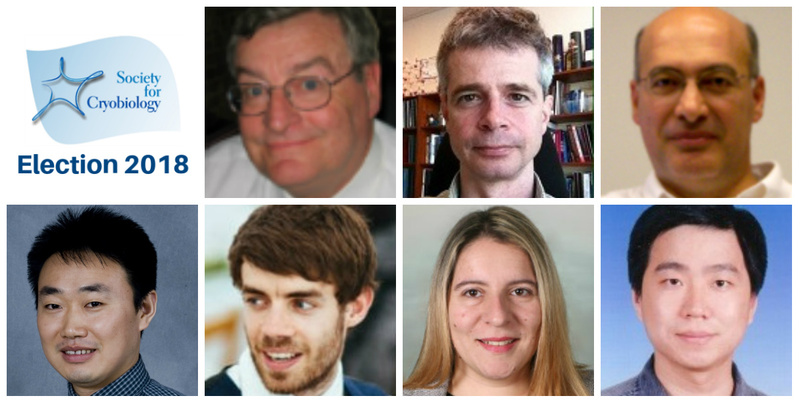 The additional funds will go towards supporting the recently created Young Investigator Award, which will be available to enter by young professionals <10 years post-PhD. The award will carry an honorarium of $5,000, and the opportunity for the winner to present their research in a plenary session or symposium at the Society's Annual Meeting. The next anticipated review of membership dues will be in 2022. The first call for abstracts for CRYO2019 has been released on November 26, 2018. Abstract submission will close on March 4, 2019. For more information and to submit your abstract please visit the CRYO2019 website. 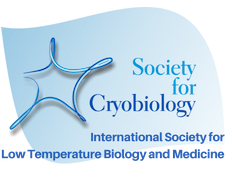 This year's Society for Cryobiology election will be held October 15-29, 2018. The election is for three Governor-at-Large positions for a three year term, commencing January 2019 and ending December 2021. Pierre Boutron has recently been announced as the 2018 Society for Cryobiology Basil J. Luyet CryoFellow. 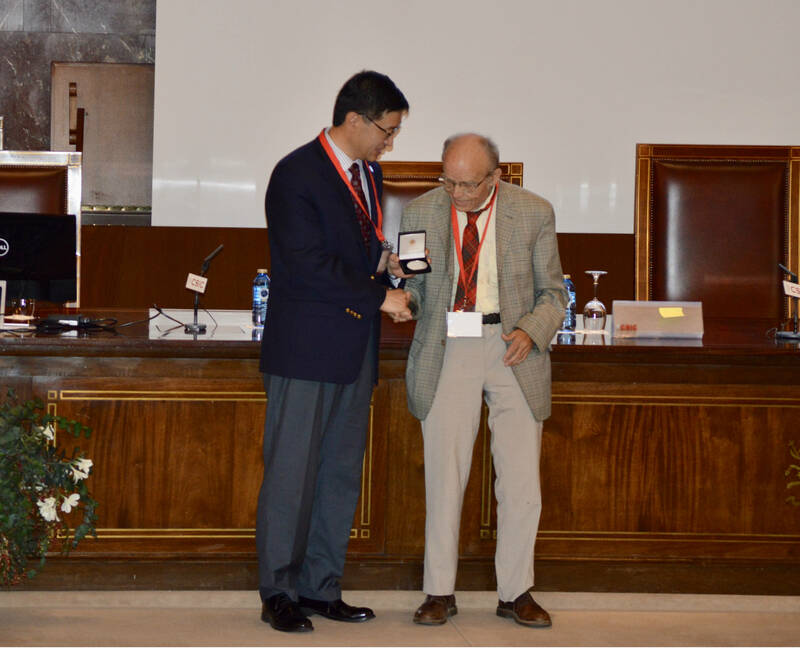 Pictured Above: Society for Cryobiology President, Dayong Gao, presents Pierre Boutron with the Basil J. Luyet Fellow Medal during the opening ceremony of CRYO2018, held July 10, 2018. Dr. Boutron is recognized today as the man who taught us how to understand the amorphous, or non-crystalline, state of solutions of cryoprotective agents, however as early as 1978 he was also the first person to envision achieving vitrification at low cooling rates using high concentrations of cryoprotectants. That was one reason he sought to understand the conditions required to prevent significant quantities of ice from forming during either cooling or warming. It was also the reason he set out to discover novel cryoprotectants that would favor vitrification. In his 1978 manuscript 'Stability of the Amorphous State in the System Water-Glycerol-Dimethylsulfoxide' published in Cryobiology lengthy tables show in great detail the amount of ice formed in different solutions at different warming rates and temperatures based on differential scanning calorimetry, or DSC, which Dr. Boutron introduced into the field of cryobiology. He also displayed rigorous proof of the absence of ice by X-ray crystallography, or elucidation of the apparent form of ice when ice did form. This paper also introduced the fundamental concept of the existence of critical cooling and warming rates, without which vitrification can hardly even be correctly discussed today. Assemble Plus has opened its second call for access to infrastructure in Marine labs in Europe. Assemble Plus funds acess, travel and living expenses for researchers to carry out experiments using marine organisms or equipment available in the marine stations within its member network. View the Funding Call, check out the FAQ, and visit the Assemble Plus website to find out more information. View the Job Description and Postdoc Advertisement. An exciting job opportunity as a Postdoctoral Research Associate is available at Newcastle University, between the Institute of Genetic Medicine (IGM) and the School of Computing (CS). The RA will conduct experimental work in a multidisciplinary team, comprising Dr Roman Bauer (CS), Prof. Majlinda Lako (IGM) and Prof. Evelyne Sernagor (Institute of Neuroscience). You will work on a project studying the impact of cryopreservation on different kinds of biological tissues. Cryogenic processing protocols will be tested and assessed using a wide range of experimental methods, taking into account anatomy, gene expression and electrical activity. The goal of the project led by Dr Roman Bauer, in collaboration with GE Healthcare and CERN, is to model and improve tissue cryopreservation to yield high-quality post-thaw tissue. You will hold a PhD in a bioscience discipline and have experience in several experimental techniques, which can be for instance immunohistochemistry, primary cell/tissue culture, qPCR and/or pluripotent stem cell differentiation. Ideally, you will also have experience in at least one electrophysiology method, e.g. in patch clamp or multi-electrode array (MEA) recording. You will be highly ambitious, have excellent written and spoken English language skills, the ability to present clearly your work, supervise students and collaborate efficiently in a multidisciplinary team. You will have the opportunity to learn new experimental techniques (e.g. organoid growth or MEA recordings from retina), develop leadership skills or quantitative or computational skills if you wish. The post is funded by the Engineering and Physical Sciences Research Council (EPSRC) and tenable for 32 months on a full-time basis. As part of your application, please provide a CV and covering letter which details your prior experience in experimental work. 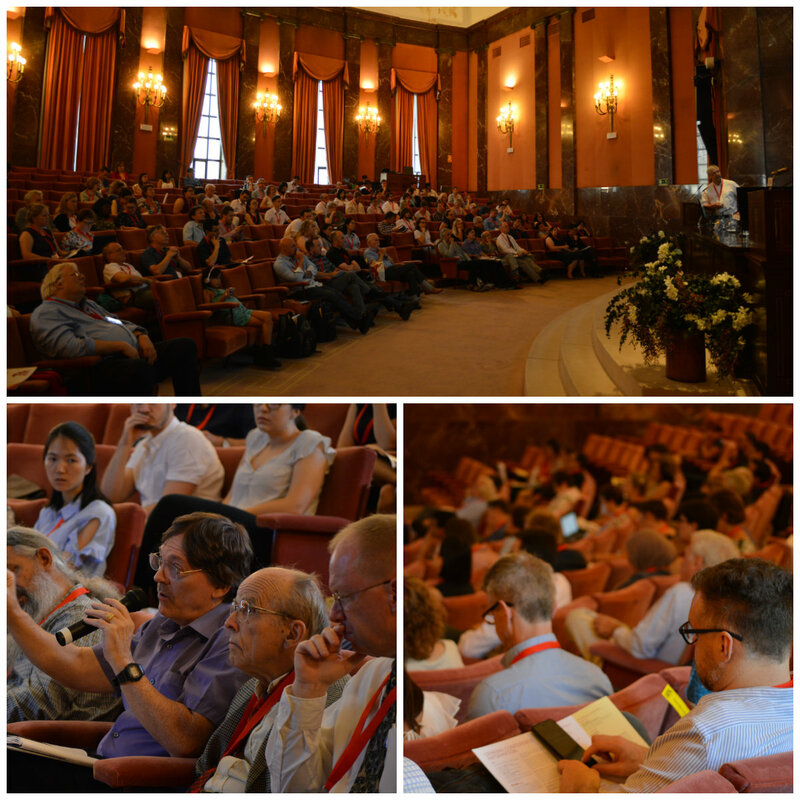 CRYO2018, which took place July 10-13 at the Spanish National Research Council (CSIC) in Madrid, Spain, was one of the Society's largest meetings in recent memory, attracting 300 abstract submissions and 250 delegates from 35 countries worldwide. For full details of the program download the electronic copy of the program book and abstract supplement. You can also view all the photos from CRYO2018. The meeting featured 175 oral presentations and over 100 poster presentations, across 5 plenary sessions, 10 symposia, 17 sessions and 2 poster sessions. Alongside traditional sessions exploring cell and tissue preservation, ice formation, tools and technologies, and plant cryopreservation, there were several sessions which stood out as sessions of note. 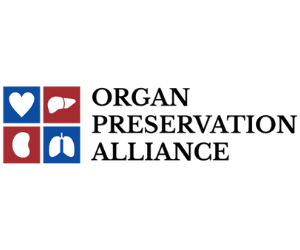 These included three sessions organized jointly with the Organ Preservation Alliance on the current situation and future research required for organ preservation, and cryopreservation of reproductive tissue for cancer survivors. Additionally, due to the expertise of the local organizing committee, the meeting also included sessions on Cryobiology in Food Science and Technology and Challenges in Cryobiology for Microorganisms. The nominations committee is now inviting nominations from all Society members in good standing for the position of Governor 2019-2021. There are 3 posts available. Please register your interest in standing for election with Nicole Evans by June 1, 2018. A detailed biography and candidate statement outlining your vision for the Society will be requested thereafter. Please note all nominations are subject to approval by the nominations committee. This does not affect your right to nomination by petition as outlined in the society's bylaws.